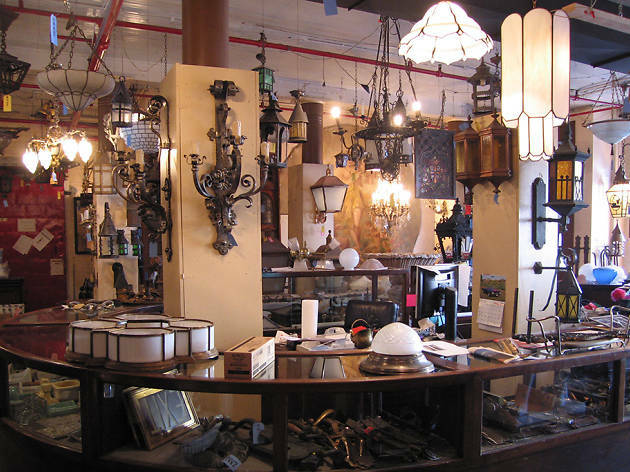 Shopping at antique stores in NYC is an event, a summertime ritual best handled post-brunch on a bright weekend afternoon. 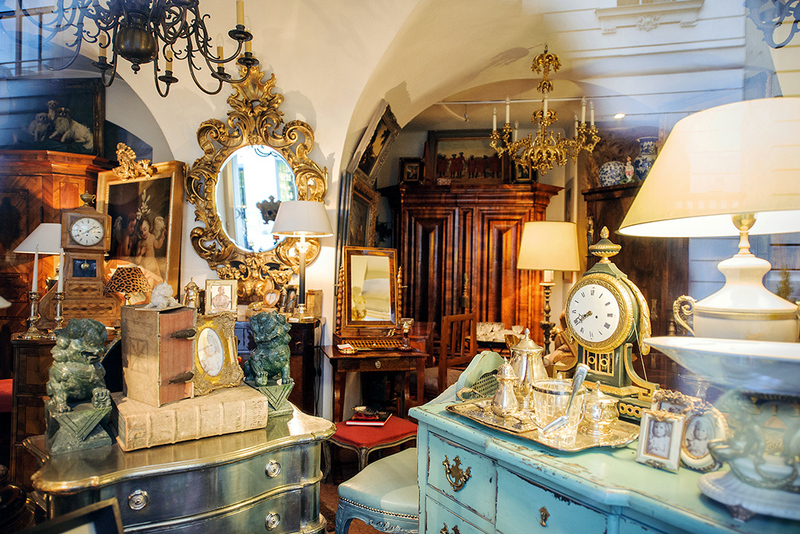 Sure, you already know the best shops to visit for vintage clothes, but check out these antique stores in the city to find kitschy, crazy and absolutely perfect items that look like they came from fancy home decor stores. So check out some of the best brunch NYC has to offer — and let the hunt begin! If you’re in the market for, say, a wrought-iron elevator cab with a scroll motif, this is your spot. 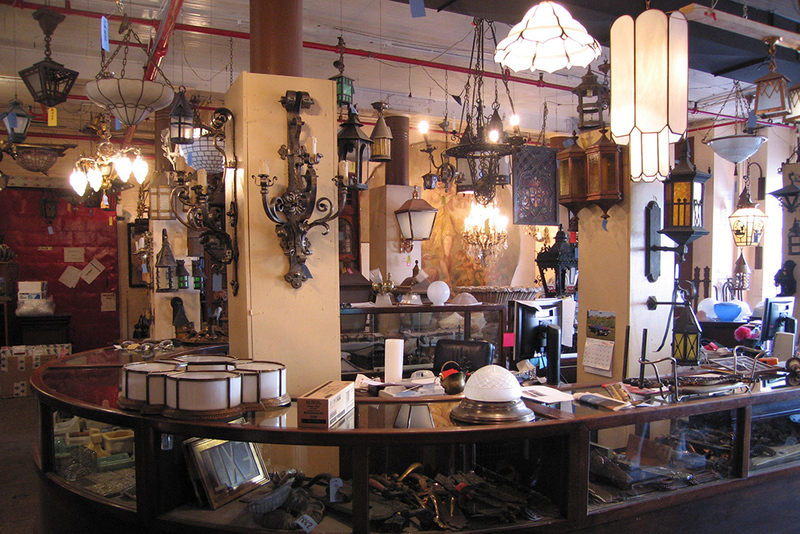 The four-floor store is filled with fixtures that make good on the business’ goal of reclaiming building elements to preserve architectural history. 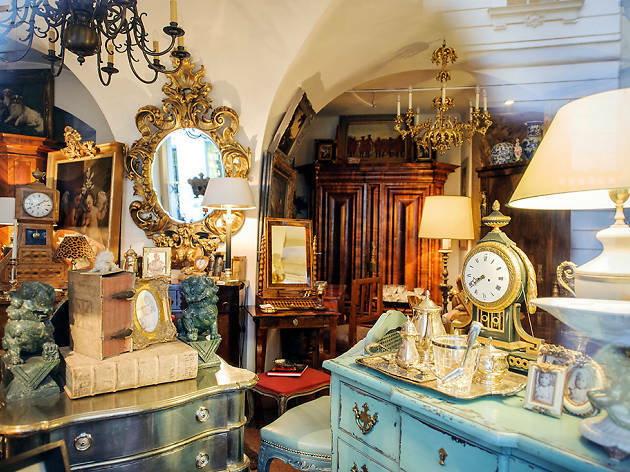 The rescued period pieces, including doors, balcony railings and actual friezes from 1905, can have a new life in modern projects. 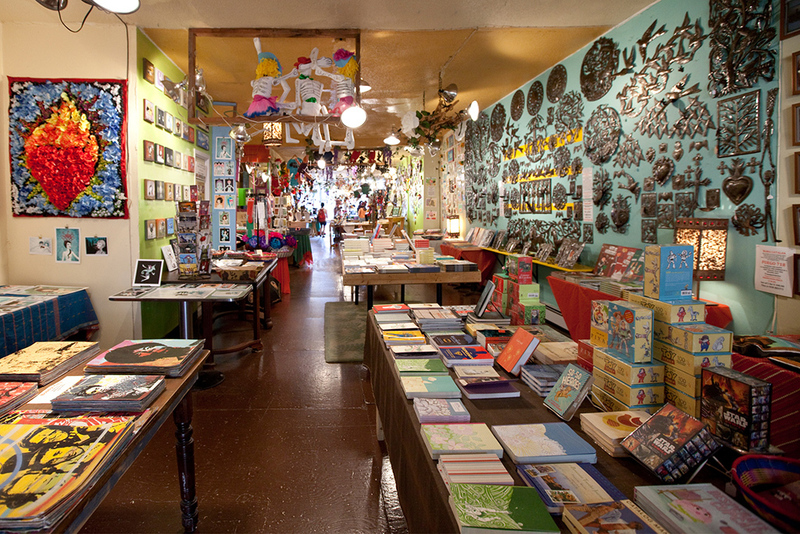 This Williamsburg shop is absolutely packed with beautiful and eclectic arts-and-craftsy pieces from all over the world. 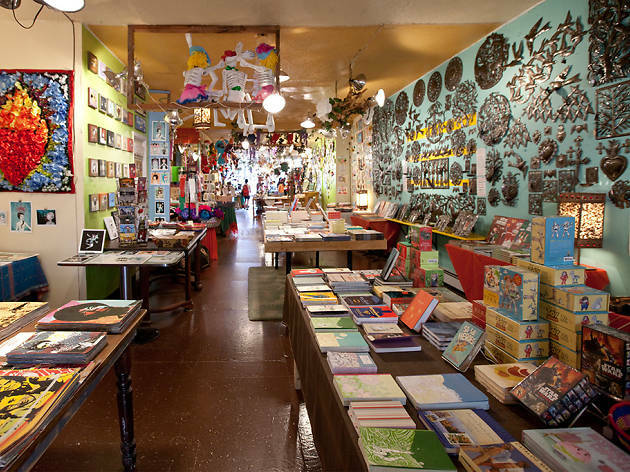 Items old, new and totally reworked from Mexico, Peru, India, Haiti and more feature heavily in jewelry, paper products and all manner of charms and ornaments. There’s also a Día de Muertos flair, with skulls, bright colors and a dash of Frida Kahlo in the items. 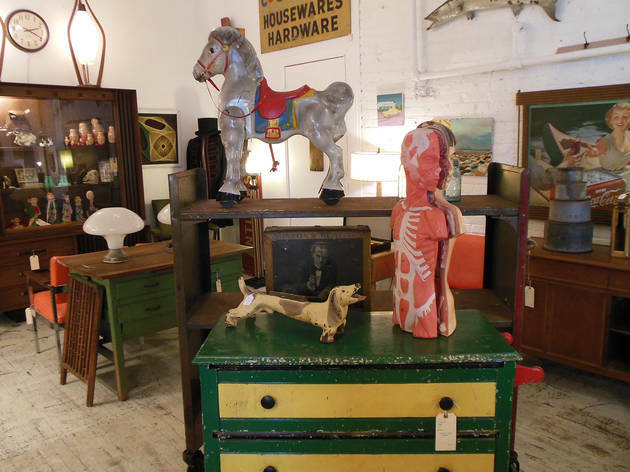 Billing itself as a cross between a Midwestern junk shop and an old-fashioned Parisian boutique, RePop sells all manner of quirky curios, from vintage furniture to decorative taxidermy. 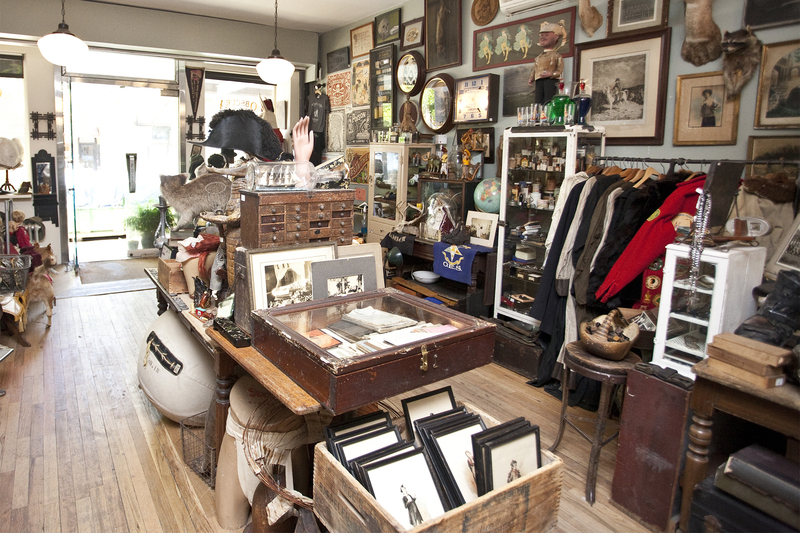 The shop has a pretty fast turnover, so if you see something you love, buy it. One thing that’s always in stock? Turn-of-the-century doll heads ($5 to $50). 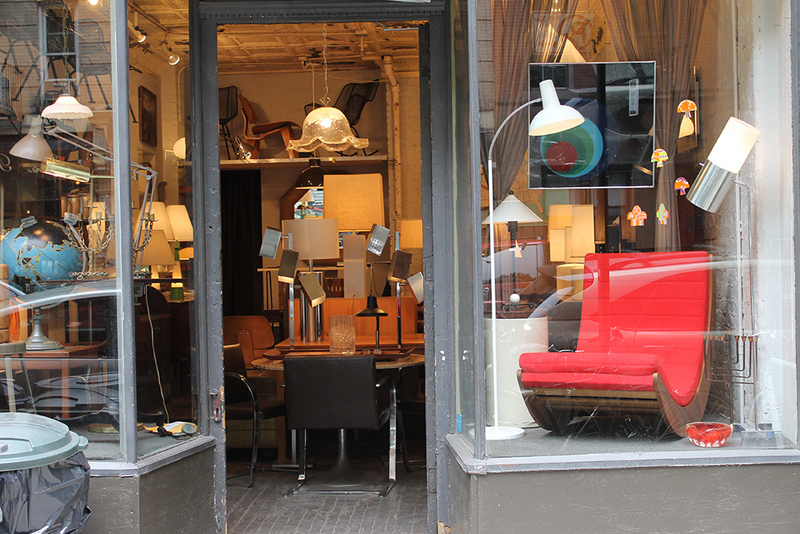 They may look like they’re just the store’s decorations, but they really are for sale, we promise. 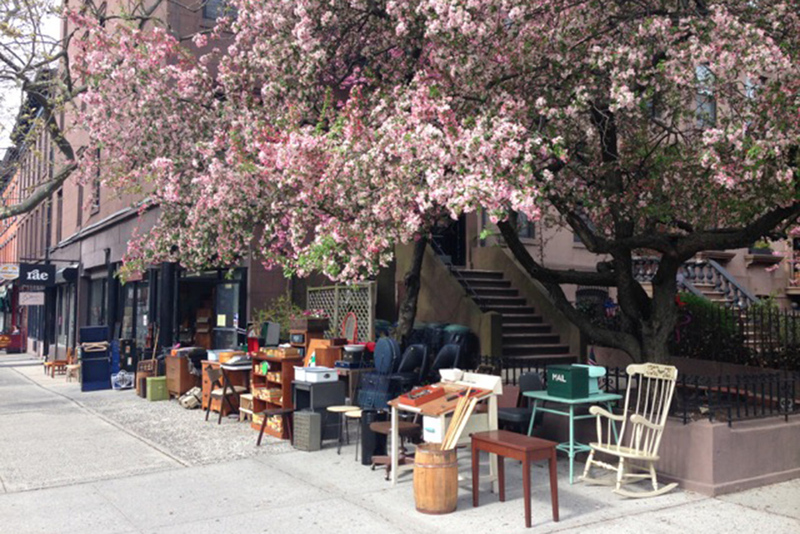 This charming Carroll gardens shop sells an eclectic array of vintage clothing, jewelry and furniture in a homey, slightly cluttered space reminiscent of an old-timey general store. 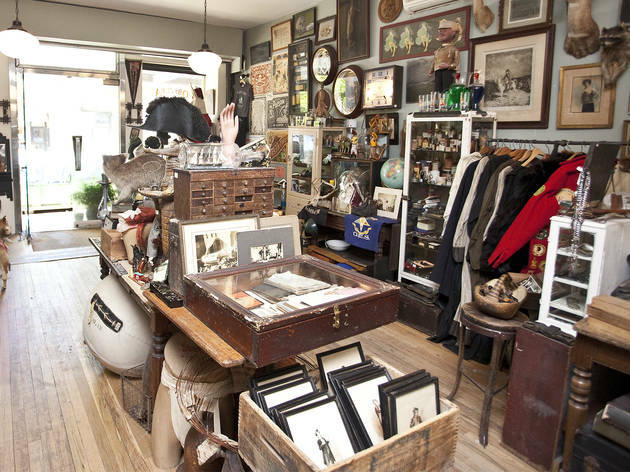 There’s a lot to sift through, so take your time perusing the constantly changing collection that includes postcards, globes, old photos and kitchen tables. 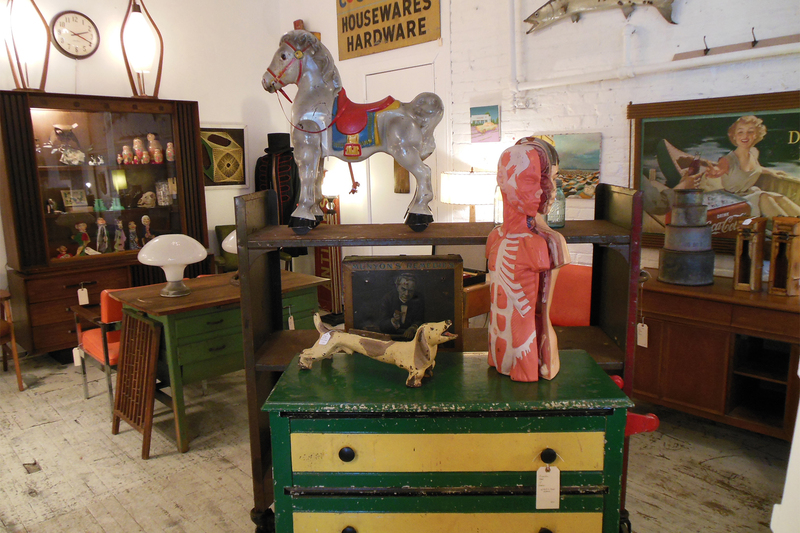 White Trash features a rotating inventory of midcentury modern furniture, lighting and whimsical gifts. 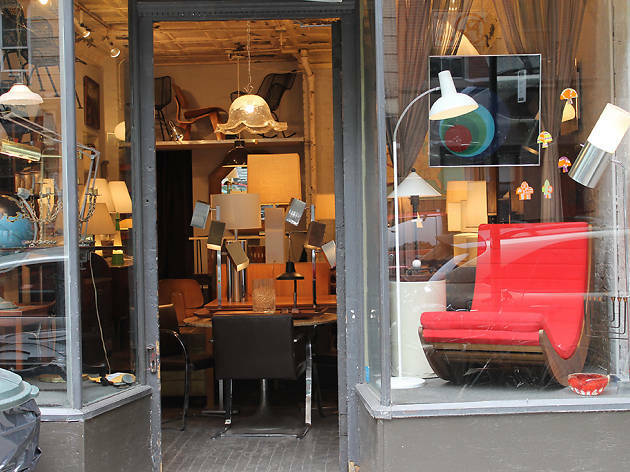 Grab a metal Denoyer Geppert Teaching Globe from 1945 ($1,200) or a pair of 1950s Italian gilt iron nesting tables ($595)—but grab them fast. The turnover here is high, ’cause you know what they say about one man’s trash…. 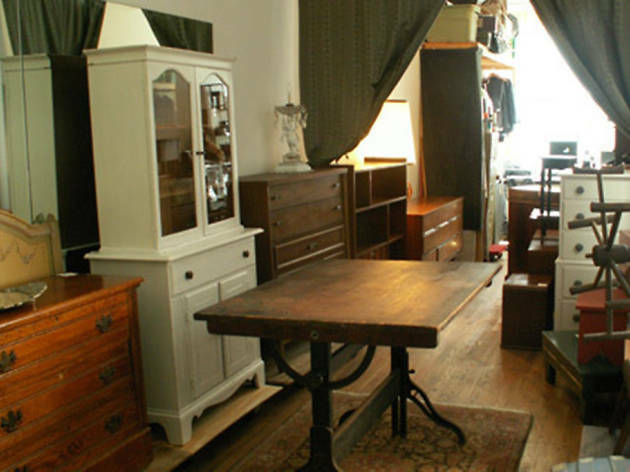 This place is stocked with furniture from as far back as the 1800s. 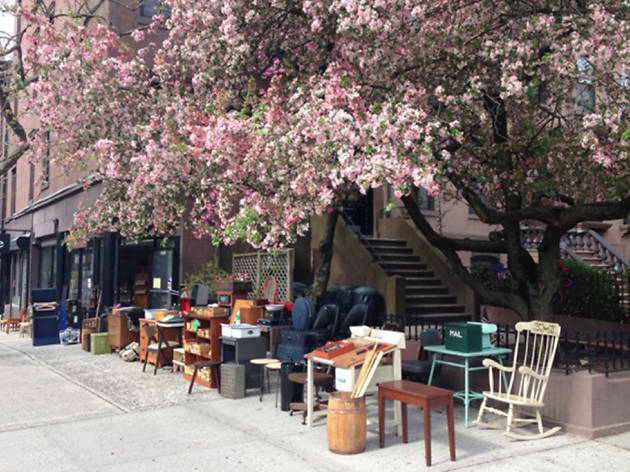 New pieces arrive weekly and through consignment, and the shop offers a service to help clean out your entire apartment. 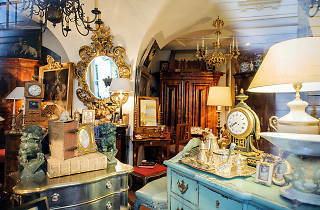 Period bedroom sets, vintage Persian and Oriental rugs and cheery Tiffany lamps are some standout finds. 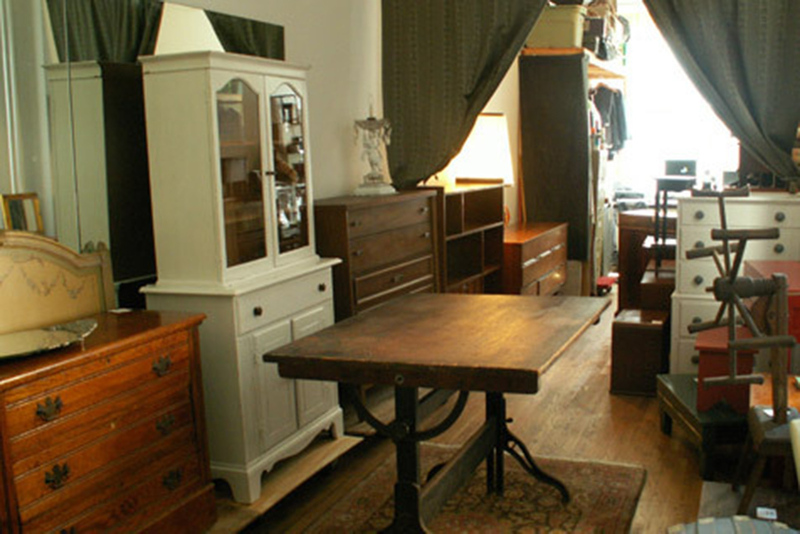 Looking for even more vintage finds? 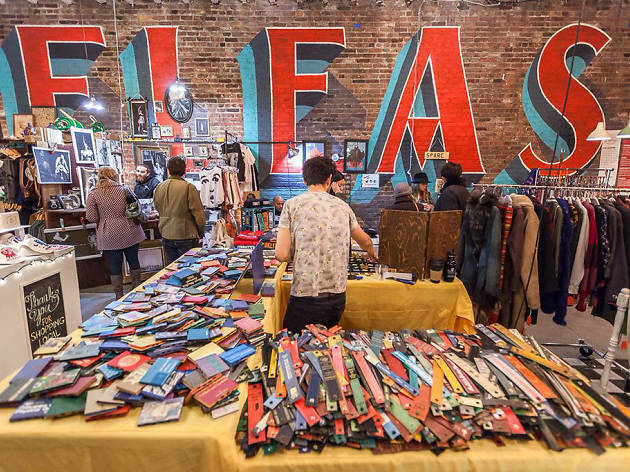 Looking for an awesome flea market? 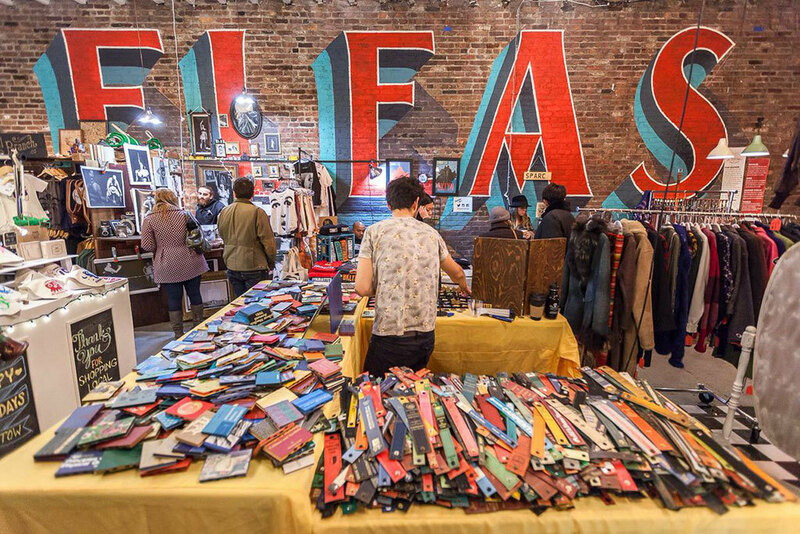 NYC has some of the top fleas around, so look no further than our guide to the best!